No 3rd Party Integration Required for UPS and FedEx. Within a wave, labels are printed in the best order for picking. The sort considers zone, picking location and carton size. Reporting shows the total number of cartons needed for each size and zone. As the cartons are assembled, picking, usually from flow racks, can begin. When all items are picked the carton goes through a packing station and then to the overhead scanner and sortation lanes. In a label-and-RF environment, picking labels are printed during the order dropping process. There is one picking label generated for each picking operation that must occur. A picking label associates a quantity of an item in a location with an order. 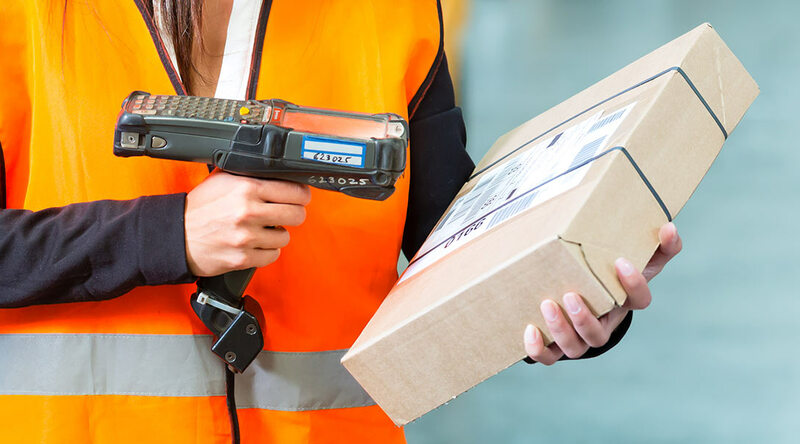 By placing the label on the item as it is picked, employees in the packing operations can identify the order to which the item belongs. 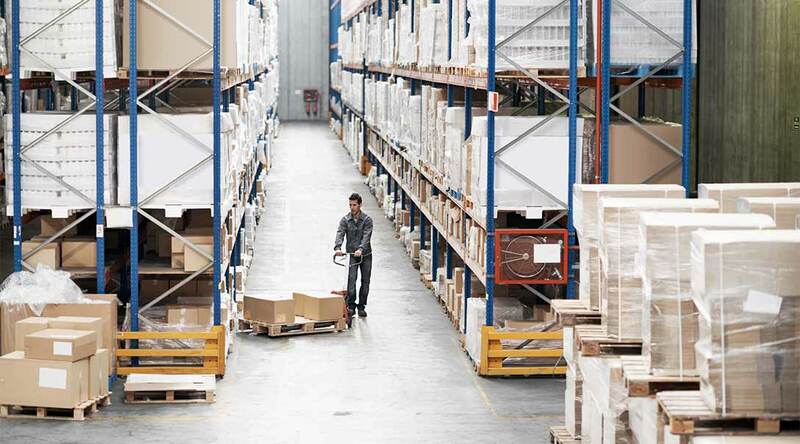 In a pure RF environment, the RF unit directs the employee through the warehouse in a serpentine fashion. Picking may be by order, by wave or by zone and can be worked on by more than one employee at a time. The material is placed in totes are cartons during the picking process to keep the material separate by customer. The RF picks can be pick-to-pack or pick-to-tote. Full pallet picks are supported. In pick-to-pack environments, the shipping carton label is scanned during the pick. A tote ID is scanned in pick to tote. Optional hip printers are available to generate item labels during the picking process. The RF picking screens are designed with simplicity but also support the exceptions. 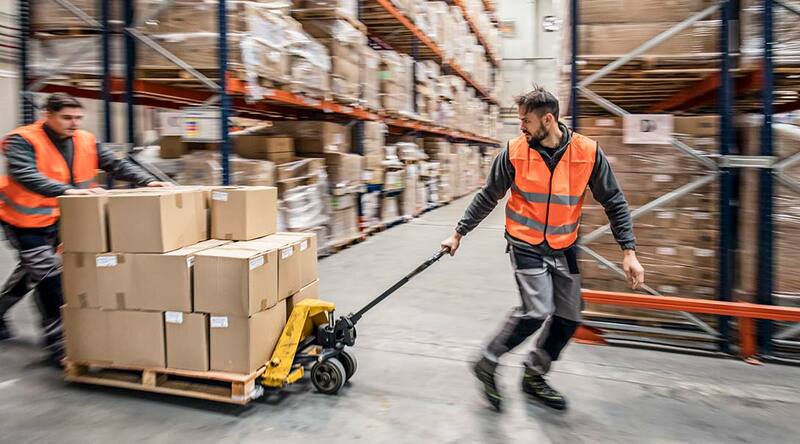 When bad or missing merchandise is found, the RF unit directs the employee to alternate locations and turns on cycle count flags in the affected locations. Packing is the process in which picked items are placed in shipping containers. 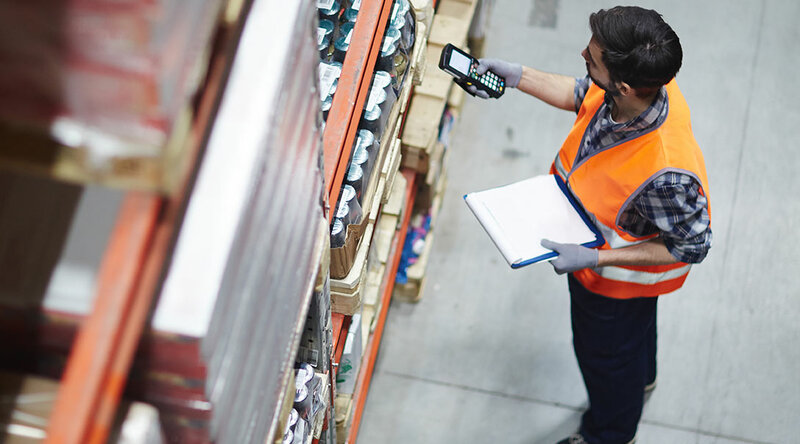 In pick-to-pack environments, both paper-based and RF, the inventory items may already be in a shipping container. In these instances no separate packing operation is required. For pick-to-tote environments, the separate packing operation may be desirable. Items are scanned from their tote into a carton. Items may be scanned from one carton into another. Pallets may hold cartons or simply hold inventory items. During the packing process, PRO numbers or other carrier-specific carton Ids, e.g. UPS or Fed-Ex, may be assigned. The carrier assigned to an order may be changed. Packing lists are printed as needed for each carton. Barcode labels are then printed. FDM4 Manifesting application that manages your multi-carrier requirements, including manifesting, compliance label generation, and countless reporting capabilities. 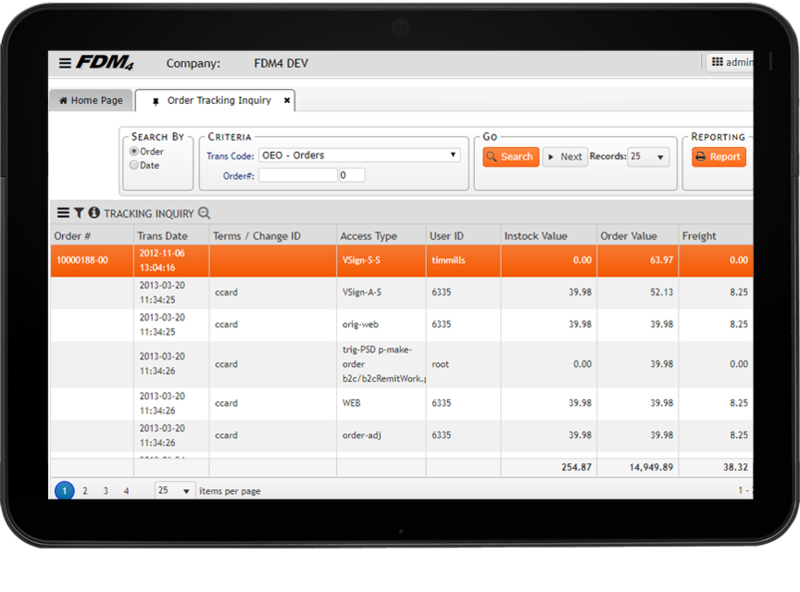 FDM4 WMS simplifies automation with Multi-carrier compliance, Automates shipping for carriers including, Fed-Ex, Fed-Ex Ground, UPS, UPS Ground, UPS Air, US Postal Service, which allows you to determine optimal shipment rates and routing, Compliance forms and labels generated, Electronic Manifesting, Online shipment tracking, Reporting, with seamless integration with the FDM4 Warehouse Management System. 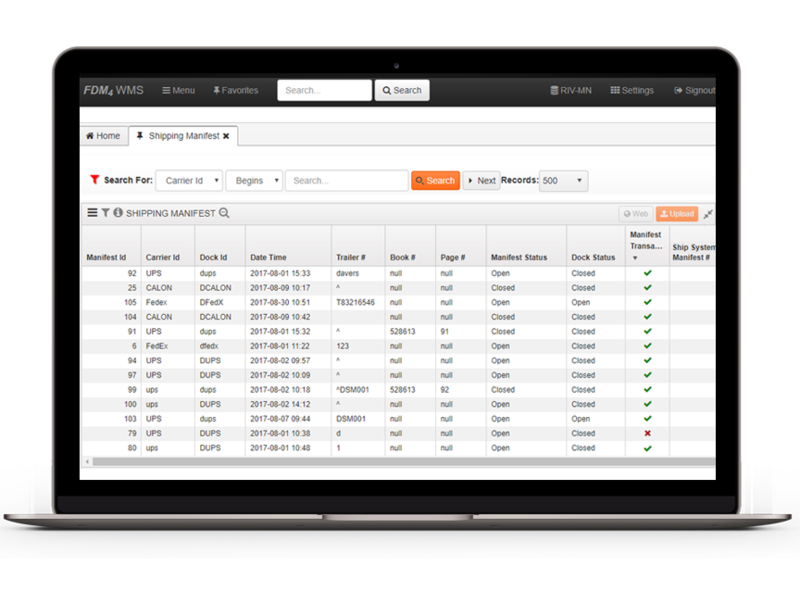 Tracking is the ongoing process of tracking the location, current user, descriptive details and status of all your critical documents. Today, many organizations track this information manually or do not have any tracking process in place. The result is time-consuming searches for documents and lost productivity. The benefit of an automated document tracking solution is that it leads to up-to-date, accurate document information that improves document utilization and accountability.